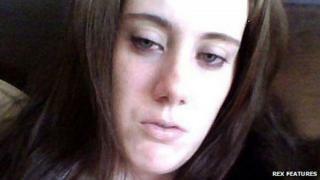 She was a "shy" girl from Buckinghamshire but the name Samantha Lewthwaite is once again being linked to a global atrocity. The media have linked her to the Kenyan shopping centre attack. Speculation has been fuelled by the Kenyan foreign minister who has said one of the militants from the Somali-based al-Shabab group was a British woman. And suspicion was heightened when international crime agency Interpol issued a wanted persons notice for her arrest. But the warrant - requested by the Kenyans - relates to separate terror charges dating from 2011 and is not linked to the Nairobi siege. There has been no confirmation of Ms Lewthwaite's involvement, either as an attacker, organiser or fundraiser. Al-Shabab has denied that any women were involved. Whitehall officials continue to advise caution about reports linking her to the attack, says the BBC's security correspondent Frank Gardner. Her notoriety though, confirmed by the Interpol warrant, is not in doubt. Ms Lewthwaite, 29, was first thrust into the spotlight after the 7 July bombings in London in 2005, as the widow of bomber Germaine Lindsay, who killed 26 people when he blew up a Piccadilly Line Tube train near King's Cross. A Muslim convert dubbed the "White Widow" by much of the media, she has no terrorism record in the UK but was on the run from Kenyan Police before the Westgate attack, allegedly using a South Africa passport over suspected links to a terrorist cell that planned to bomb the country's coast. Interpol's red notice is a recognition that she is now considered an international threat, not just someone who should be regarded as a passport fraudster, says BBC home affairs correspondent Dominic Casciani. The notice says Ms Lewthwaite is "wanted by Kenya on charges of being in possession of explosives and conspiracy to commit a felony dating back to December 2011". After the 7 July attacks, Ms Lewthwaite condemned her husband's actions as "abhorrent", saying trips to radical mosques had "poisoned his mind". "How these people could have turned him and poisoned his mind is dreadful," she told the Sun. "He was an innocent, naive and simple man. I suppose he must have been an ideal candidate." But not long after the attack she disappeared. She was known to be in Kenya and, last year, officials said she had fled to Somalia and the police were hunting a woman who used several identities, including hers. BBC journalist Peter Taylor, who has just returned from Kenya where he was making a Panorama programme on al-Shabab, said there was still a lot of speculation about the group involved in the attack on the shopping centre. However, he said: "If, as the foreign minister says, there was a British woman involved 'who had done this many times before', there is a strong possibility it may well be Samantha Lewthwaite. "If she is dead then she would have achieved the kind of martyrdom that her husband Germaine Lindsay achieved." He said Ms Lewthwaite had become an almost "mythological figure" and the search for her had been going on a "long time". "At the time of the 7/7 bombings, the impression was that she disapproved and was highly critical of her husband's action," he added. "Then she disappeared off the radar and turns up again in Kenya. It would appear she became involved with al-Shabab to fight jihad as her husband believed he was doing when he bombed the Tube." Ms Lewthwaite spent much of her life in the Buckinghamshire town of Aylesbury, although her very early years were spent in Northern Ireland. Born to English soldier Andy Lewthwaite - who met and married Christine Allen while serving in Northern Ireland during the 1970s - she spent her childhood on the Whyte Acres estate in Banbridge, County Down. Ms Lewthwaite was still at primary school when her family moved to Aylesbury, where they lived in a modest terraced house. Her parents separated in 1995. Raj Khan, an Aylesbury councillor who has known her for decades, told the BBC she was an average girl. "I knew her when she was a child," he said. "She was very innocent, lacking confidence, shy and very easy to get on with. She was a follower not a leader." He said he could not imagine her being involved in the Nairobi attack. "It takes someone sophisticated to be involved in such an international terrorist organisation," he added. She became friendly with a local Muslim family who helped her to convert to Islam when she was a teenager. At the Grange School in Aylesbury, the new Muslim convert stood out, according to Novid Shaid who taught there. Speaking to BBC Radio 4's The Report last year, he said: "She seemed to be really proud wearing the hijab, there was a bubbly feeling around her." After a few years, "we noticed her wearing the full galabiya (full-length robe) which some converts tend to do when they become more serious," he said. Ms Lewthwaite's interest in religion developed further and she enrolled in a degree course in politics and the study of religions in 2002 at the School of Oriental and African Studies in London. However, she left the course after two months. She met Jamaican-born Muslim convert Lindsay via an Islamic internet chatroom the same year and the couple married a few months later. They lived initially in Huddersfield but moved to Aylesbury in September 2003. Six months later, their first child was born. Their second child was born after the London bombings. Media captionRaj Khan: "If she is being radicalised to this extent where was it done? Was it in Aylesbury?" It is thought she has since remarried and the papers say she now has either three or four children. Her father, sister and brother also distanced themselves from Lindsay after the 7 July attacks. "He was a good and loving husband and a brilliant father, who showed absolutely no sign of doing this atrocious crime," they said in a statement. "We as a family had no idea of his plans and are as horrified as the rest of the world." It is understood she has had little contact with relatives in Northern Ireland, including her 85-year-old grandmother Elizabeth Allen, since her conversion to Islam.